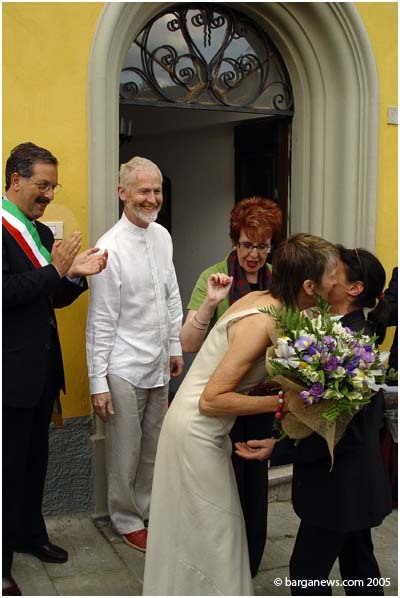 We first came to Barga in 2002; we had not heard of Barga before and, like many others, found it almost by accident and immediately fell in love with the town and its people. Only later did we discover that "Barga is the Most Scottish Town in Italy". For more information see "The Scottish Connection" below. Barga was the perfect setting for our new venture; historic, but still a "living" town, not yet overwhelmed by mass tourism and set in spectacular mountain scenery; easily accessible by car and by public transport with an international airport only 80 minutes drive away. In January 2003 we bought an historic but shabby townhouse in the mediaeval town and set about restoring it and converting it into a beautiful and comfortable home and B&B. We were welcomed by everyone we met in Barga and very soon felt part of the community within the ancient walls. The house has a fascinating history which we have gleaned from our neighbours including 92 year old Signora Marroni who lived in the house 60 years ago. The cellars are mediaeval and the upper floors were reconstructed in the 18th century and subsequently remodelled in the 1860's during the Risorgimento. An elaborate plaster ceiling with symbols of the unification of Italy remains from that period. The house was again remodelled in the 1930's and tiled floors and friezes remain from that period. A marble plaque on the facade records a connection with Garibaldi and Mordini. 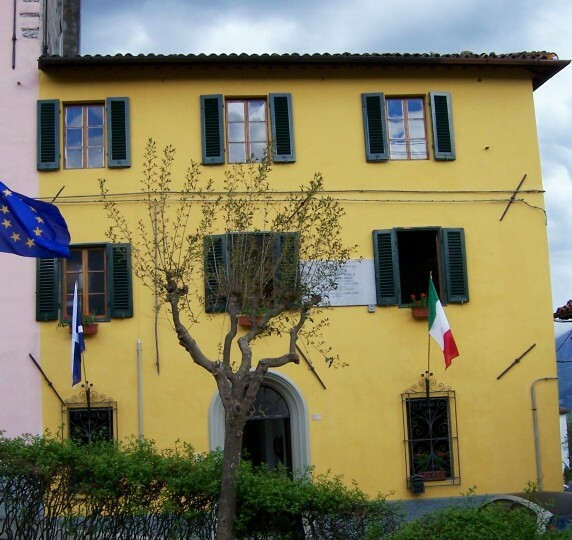 We recently had a visit from a respected local historian, Sig, Antonio Nardini, who has written several books on Barga and its families: he has been able to give us some interesting background information regarding the house and the marble plaque. The house was owned in the early 19th C by a well known Barga woodcarver and craftsman, Thomaso Guidi. 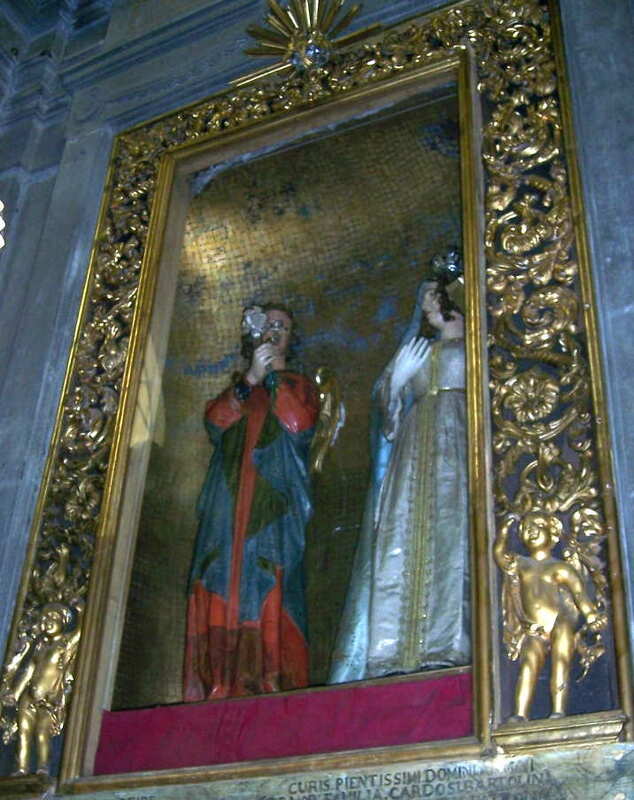 His carvings can be seen on altars in Barga and in Livorno. The Cantina, now our breakfast room, was his workshop. The ceiling in the salotta above includes symbols of the woodcarvers' guild as well as the "Fratellanza Artigiana", who used the salotta as their meeting room or Sede. The old house had been abandoned for about 15 years and needed to be completely gutted, new plumbing, electrics and central heating installed and redecorated from top to bottom both inside and out. We had found evidence of the original exterior colour under the dirty off-white, and now it has been repainted a rich golden ochre, with dark green shutters. We also excavated the old earth floored cellars (Cantina) which had been used to store wine and also to house rabbits! The cellars now contain the breakfast room, kitchen and prosciutteria where the hams and cheeses are stored. This is our first venture into hospitality though Susi is a prize winning cook! 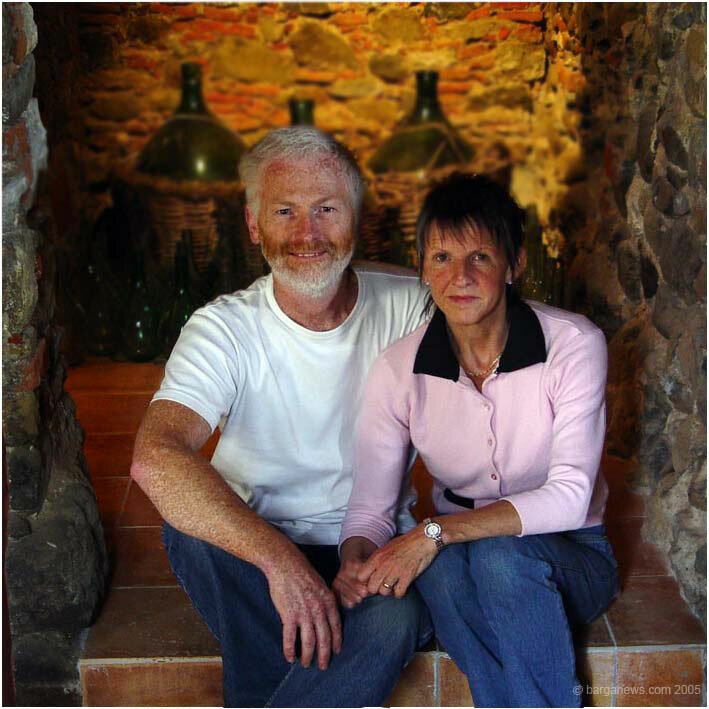 Ron is responsible for the website, bookings and admin and Susi will look after our guests. We both gave up our jobs in Scotland where Ron was an architect with his own practice and Susi a deputy head teacher of a Primary school near Aberdeen. We soon heard that "Barga is the most Scottish Town in Italy", and it is true that in the streets from time to time clear Scottish accents can be heard and, in summer, round the swimming pool, the accents are often Scottish. BUT these are generally not Scots, but the families of Barghigiani who emigrated to Scotland several generations ago, who have kept their Italian roots and have come back here, either to retire, to work, or simply for a holiday with their families. 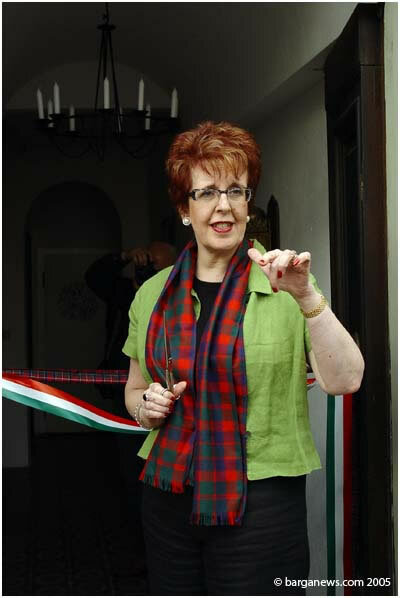 Some of course have married Scots and they too have been absorbed into the community of Barghigiani. The story of the emigration from this valley over the last 160 years is recorded in a fascinating book "They Took the Low Road", by Bruno Sereni, published by the Comune di Barga. The first to leave were itinerant sellers of plaster religious figurines, a speciality of this area (There is a museum in nearby Coreglia Antelminelli dedicated to the craft). Some of these early traders stopped in Glasgow, others continued on to the US. In Glasgow and the surrounding towns of South West Scotland several opened cafes, ice cream shops and fish and chip restaurants, and as these enterprises flourished they invited cousins, nephews and nieces to join them in Scotland. The Scottish/ Barghigiani connection was born and to this day remains strong as Barga families continue the two way traffic. Every summer the connection is celebrated with a "Sagra del Pesce e Patate" (Fish and Chips) served in the open air at the local football stadium.